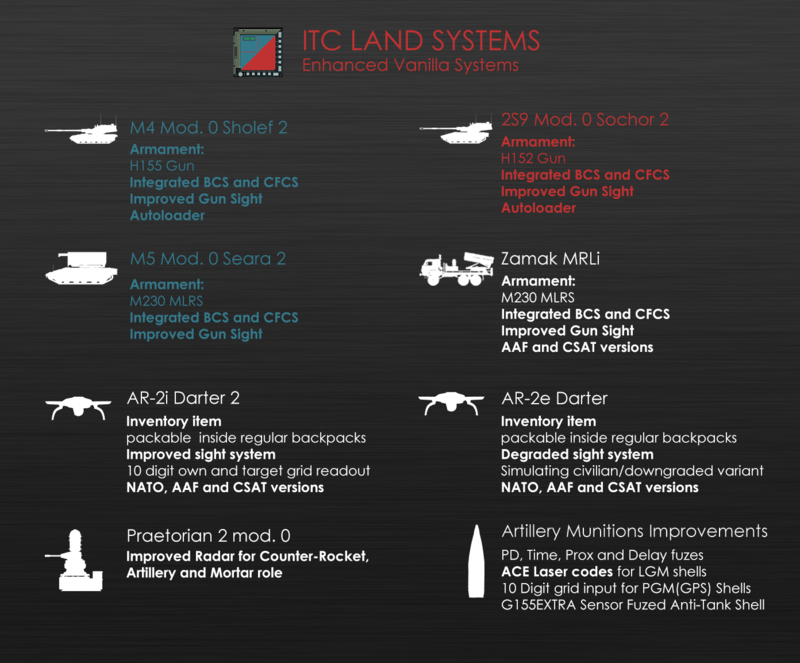 ITC Land Systems is a mod that aims to add depth to some of arma’s ground based systems, with our main focus being player crewed artillery systems and anything related to them. - Commander's Fire Control System for SPH and MLRS platforms. - Improved Gunner's Sight for SPH and MLRS platforms. 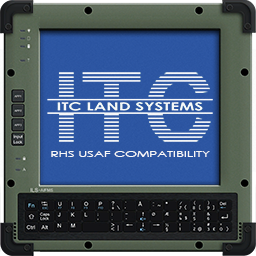 - Improvements to AR2 Darter UAS. - New 155mm and 152mm howitzer ammunition including 3 new special purpose types including 2 PGMs and 1 new anti armour shell. - New Multi Option Fuzes for artillery shells including: Proximity, Point Detonate, Delay, and Timed functionality. - CRAM system for vanilla Phalanx and Sea Sparrow systems. - Overhaul to vanilla artillery accuracy. - Variants of vanilla IDF systems with these features implemented. Is there a way to increase the volume of the COBRA siren? The issue was caused by a bug in the CIWS system in its handling of any CIWS compatible munitions fired by independent faction. We just pushed a bugfix that should resolve this problem. This mod appears to break airborne bombs of the independent faction. This includes the GBU-12, the Mk82 as well as the cluster bombs. it's probably not limited to these. How to test: Spawn a Wipeout as NATO, drop bomb -> works. Switch out pilot for independent pilot, drop bomb -> bomb despawns after 1 second. Could it be possible to add a North Indicator to the Darter 2? That would make the Darter 2 just perfect! Could you make the darter in inventory standalone ? Would love that as a seperate mod. Regarding encore assets, we've got a couple of other things on the to do list before working on the VLS or naval gun, but the features for these have been drafted on paper and will be coming in the not to distant future. Our latest update added variants of the SAMs: Rhea and Defender with new missiles set up to use our SAM Prox fuzing for a noticable increase in effectiveness. A note regarding these, they are primarilly geared towards AI use with a radar. The fixed positions of them are a stepping stone in adding some other features which are currently still being worked on. Does this work with Encore DLC assets? any chance this could be made to work with the pook arty pack?